Rewarding Times have once again teamed up with ely wine bar who know that it's not always about dining out, they are the best wine bar in Ireland after all, so they have selected two truly great wines as an additional Rewarding Times offer and included their famous Charger of charcuterie, continental and Irish cheeses. Perfect for sharing and taking time out with. The white is a Meursault no less, the Hubert Bouzereau-Gruère & Filles Meursault 2015 by wine-maker Marie-Anne, who is the 8th generation of the family to run this winery. The vineyards are spread across Meursault, Puligny, Chassagne and St. Aubin, but their winery - and heart - is in Meursault. Marie-Anne has a clear vision of the style of wines she wants to produce with the emphasis on terroir, fruit and freshness. As a result, the wines see only 25-30% new oak. Their Meursault Village is a perfect example of this style, the nose is subtle yet complex with aromas of white flower, peach and almond. The influence of the oak only becomes apparent on the palate, not as a flavour but as texture. As the wine opens the inherent richness and creaminess of Meursault becomes more appreciable but never overcomes the precision and finesse of this superb wine. For the red ely has gone to Italy and selected Il Valentiano's ‘Campo di Marzo’ Brunello di Montalcino 2008. For a wine lover, there is no greater joy than finding a fine wine with the perfect amount of bottle age, a wine which balances the freshness and vitality of youth with the flavour development and complexity that only time can provide. They have found that bottle for you. A Brunello in the traditional style, it opens with aromas of dark berry fruit, coffee and wood shavings. The palate offers black cherry, coffee bean, liquorice and toasted oak, along with dried herb and anise spice. The tannins have softened with time and leave a fine, silky and very savoury finish which lasts forever. A stunning example of Brunello at its peak. Pair either of these wines with the legendary ely Charger, a selection of great charcuterie, continental and Irish cheeses. 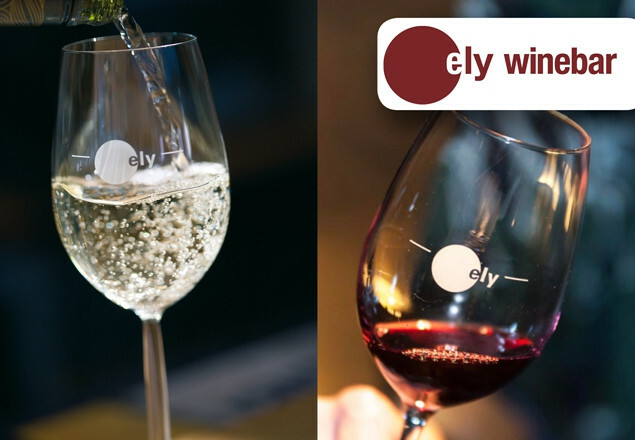 Vouchers are valid for wine & charger bookings only for ely wine bar, 22 Ely Place, Dublin 2. Vouchers are valid Monday – Friday from 12 noon and Saturday from 5pm.